KISSopolis: PodKISSt #76 - KISS 1978! The album that never was! 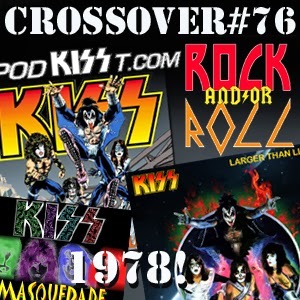 PodKISSt #76 - KISS 1978! The album that never was! The PodKISSt/”Rock & or Roll” Crossover event is here! Another cool “What If” episode! Join Me, Bj Kahuna, Matt Porter, Chris Czynszak and David Kawzinski talk about the KISS album that never was!!! Listen to the great “Rock & Or Roll” Podcast!